We're finally seeing some East-coast mentality in our town; the good kind. NYC has been hip to the joys of communal dining for a while now. Of course, the idea of people coming together at meal time is older than NYC itself, or any city for that matter. Sharing a meal, or the experience of hunting or gathering, is part of our DNA. It's been beautiful to see this resurgence of the family-style dining table in restaurants across the globe. I started taking note the first time I spent a considerable amount of time in London, and then again in Berlin, Greece, Barcelona and, eventually, Salt Lake City. And while we're seeing more of these eateries and restaurants popping up lately in our neighborhoods, it's good to see the same from a coffee shop. Mariha is a barista at Tulie Bakery, a phenomenal sweet spot that showed up in the 9th & 9th area in 2008. A big part of why she loves it here is why you should, too; the owner's promotion of community. The only tables in Tulie promote communal dining. Sit down, and you're more than likely doing so with someone else, which is probably why they have a solid customer base of locals. And another thing...there's no wi-fi in Tulie. Primitive? Maybe. Completely necessary to bring the world back from iPhone outer darkness? Absolutely. As it turns out, people actually do like talking to others. While some may not appreciate the minimalist approach -- from the color palette, to the placement of the tables, to the absence of the internet -- I'm hoping that there are many more who will see it for what it is; all you need for an amazing pastry, cup of coffee and a chat. 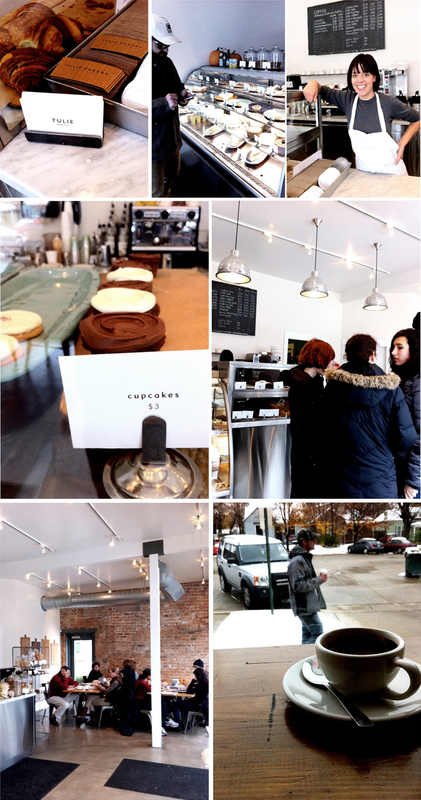 The inside of the bakery impresses me as much as their community ideals. It's an incredibly pared-down design aesthetic, and it works. It's beautifully basic, so that only the people inside really stand out. 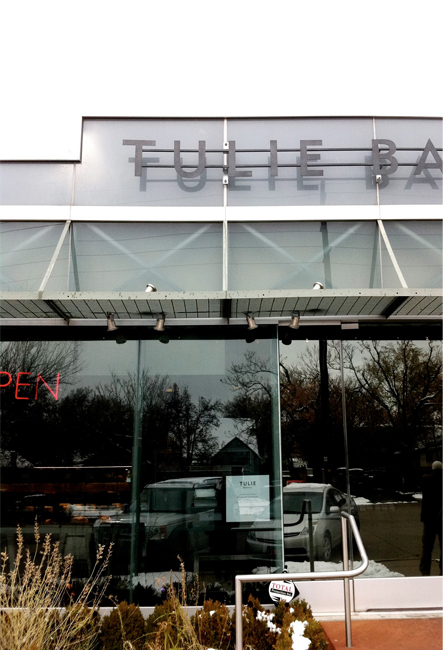 Mariha thinks the success of Tulie lies in the fact that they're "customer-based and have the best pastries in town". I can't argue this point, as it's the life-changing Tulie gingerbread cookie that broke my 3 month no-wheat/no-dairy streak. When individual clients feel a sense of community, it breeds success in a small business. What better way to start than seating them next to their neighbor at a table full of pastries? Good work, Tulie (and if you'd like to throw me a free gingerbread cookie, I cordially accept). Go have a family "meal" with your neighbors. You can find them at 863 East 700 South.